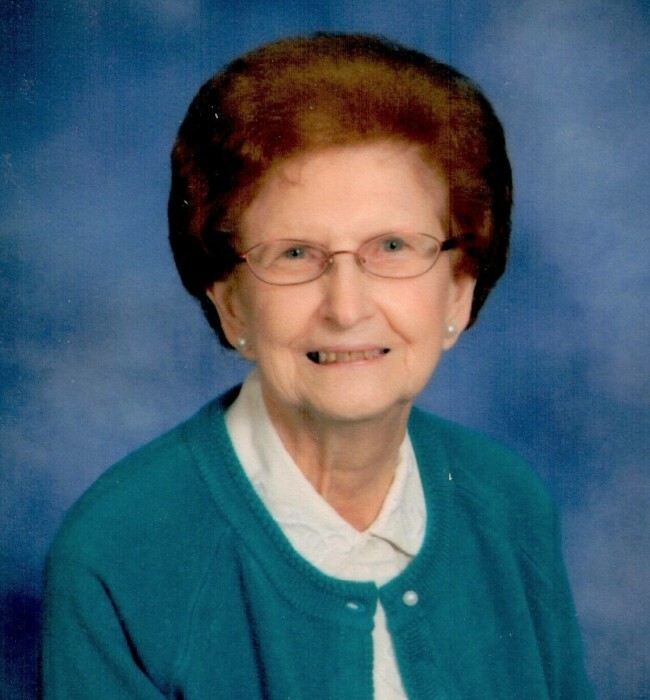 Mrs. Margaret Wallace Greene, age 90, went to be with her Lord on March 17th, 2019. She is survived by a daughter, Kay Sipe and husband Steve of Shelby, two grandchildren, Anderson M. Sipe of Fort Mill, SC and Sara E. Sipe of Boiling Springs, SC. Born October 3rd, 1928 in Cleveland County, Mrs. Greene was the daughter of the late Robert and Ada Hardin Wallace and was preceded in death by her husband, A.B. Greene and two brothers, Herman F. Wallace and Max L. Wallace. Mrs. Greene was a devout and longtime member of Poplar Springs Baptist Church. She enjoyed spending time with her Sunday school class as well as other beloved members of her church. Margaret was an accomplished seamstress and also enjoyed cooking, particularly her family’s favorites. She was affectionately called Mawmaw by her family and especially loved spoiling her grandchildren with special goodies and treats. Funeral services will be held at 2:00pm Saturday, March 23rd, 2019 at Cleveland Funeral Services Chapel. A visitation will be held one hour prior to the service from 1:00pm to 2:00pm. A burial will follow the service at Cleveland Memorial Park. Memorial contributions can be made to Poplar Springs Baptist Church, 1106 Poplar Springs Church Road Shelby, North Carolina 28152, or to Hospice of Cleveland County, 951 Wendover Heights Drive, Shelby, NC 28150.